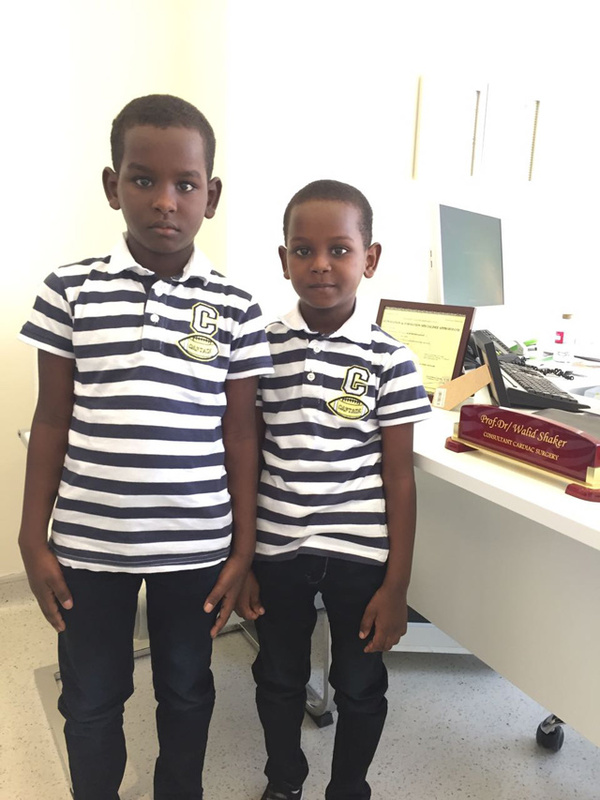 Moneb Mutwakel Hassan is a 6-year-old Sudanese boy with a twin. Whilst his twin brother was growing really well, Moneb had a retarded growth and lower body weight as compared to his twin. His parents were getting worried by this strong difference and so they consulted Assoc. Prof. Dr. Walid Shaker, Consultant – Cardiothoracic Surgeon and Head of Cardiac Surgery at Burjeel Hospital in Abu Dhabi. Moneb’s echocardiography revealed a surprising condition. He had a congenital disease producing severe narrowing of the outlet of the aorta, the vessel supplying the full body with oxygen and blood. This narrowing was the main cause of the delayed growth. In addition, this narrowing was producing progressive thickening and dilatation of the boy’s heart with the risk of subsequent heart failure. Moneb was immediately prepared for surgery and was kept under Dr. Walid’s strict supervision until the surgery was fully completed. “Moneb’s case was extraordinary and timely intervention was critical in his case. While his twin brother Moamin Ahmed had a regular growth, Moneb was underdeveloped. On his echocardiography, we discovered about the contraction of the aorta which was the primary cause of his delayed growth. This narrowing was also producing progressive thickening and dilatation of the boy’s heart, the outcome of which could have been worse leading to heart failure. However, the surgery was successful with Moneb showing a remarkable recovery. Within just 5 days, Moneb recovered fully and went back home to play with his friends like any normal boy. Moneb’s weight before the surgery was around 20kg and only 10 days after surgery he weighed around 22kg.We are now expecting Moneb’s growth to reach the same level as his twin within a few months” said Assoc. Prof. Dr. Shaker. Burjeel Hospital provides medical as well as surgical care to such special cases. With best surgeons alongwith specialized and superior heathcare services, Burjeel Hospital in Abu Dhabi is well equipped to handle such complicated, unique and life-saving cases.